How to tag the answers? /LeadsHook / Decision Tree / LeadsHook / Decision Tree / Nodes / Questions & Answers / How to tag the answers? 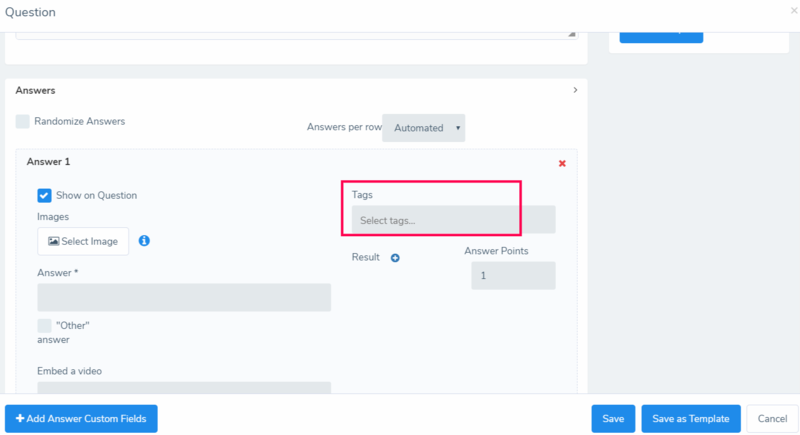 In this article, we will learn how to tag the answers in a questions and answers node. 1.In a questions and answers node, input the tag(s) on the answer(s), as shown in the screenshot below. Remember to press “Enter” after entering each tag.